Think you had it rough going to school? What would you do if you had to climb this to go to school each day. 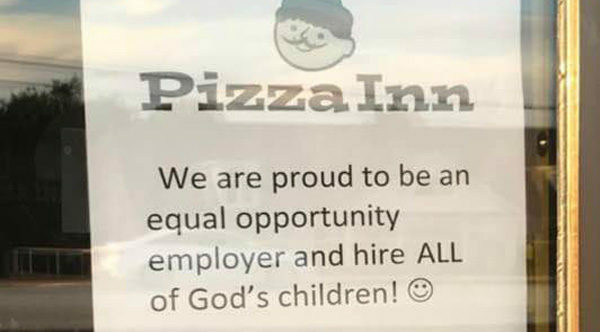 The owner of this Greenville Pizza Inn wanted to make sure that everyone in the community understands that she hires all of God’s children….